With year-round temperatures averaging 70 degrees and its proximity to the Pacific Ocean, San Diego offers many opportunities for a romantic date. From taking a cruise around the San Diego Bay to watching the sunset from a sandy beach, there are many affordable and unique ways to show that special someone how you feel. 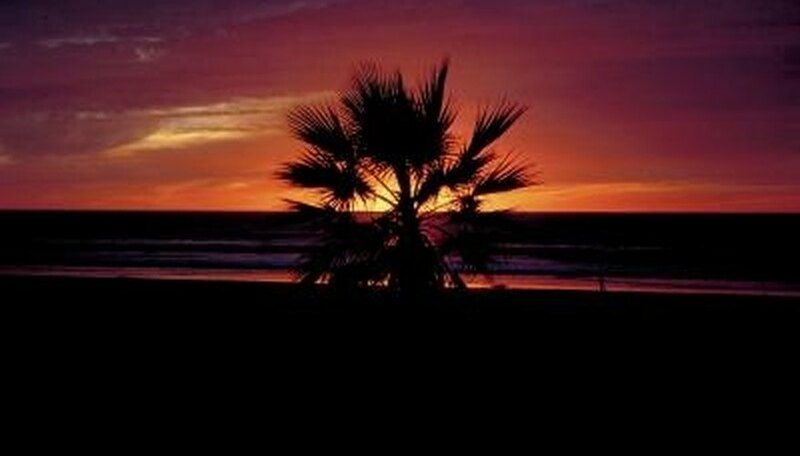 End your romantic date in San Diego by watching the sunset along the beach. San Diego Bay is famous for its beauty, and a romantic way to enjoy the bay is by taking a harbor cruise. In addition to whale watching and a brunch cruise, the Hornblower cruise line offers a San Diego dinner cruise. The three-hour cruise around San Diego Bay includes breathtaking city views, musical entertainment, a three-course dinner and a glass of champagne or sparkling cider upon boarding. After dinner, stroll the spacious decks and listen to the sounds of the on-board entertainment while viewing beautiful downtown San Diego. While Cabrillo National Monument may not sound like a romantic place for a date, this uncrowded park offers unique views of the San Diego coastline. Cabrillo National Monument sits on a peninsula, affording spectacular views north and south of San Diego. For a little adventure, Cabrillo National Monument has several hiking trails along the untouched coastline. The Bayside Trail takes you through an endangered coastal scrub habitat. During the winter months, tide pools develop along the northern shore of the park. In the winter months the park is a spectacular place to watch the sunset. Balboa Park is the nation's largest urban cultural park. Balboa Park, in the middle of San Diego, is one of the most romantic places to take a date. Balboa Park features the famous San Diego Zoo and 15 major museums. To enjoy a romantic date, plan a picnic in front of the Botanical Building by the lily pond. Relax in the sun while eating, then head to one of the many museums. George's at the Cove is located in La Jolla, California, about 15 minutes north of downtown San Diego. George's at the Cove offers three different dining experiences, ranging from an elegant dinner to a casual afternoon snack. All three dining experiences offer unobstructed views of the Pacific Ocean. Stock, Elizabeth. "Romantic Dates in San Diego." Dating Tips - Match.com, https://datingtips.match.com/romantic-dates-san-diego-8030374.html. Accessed 18 April 2019.